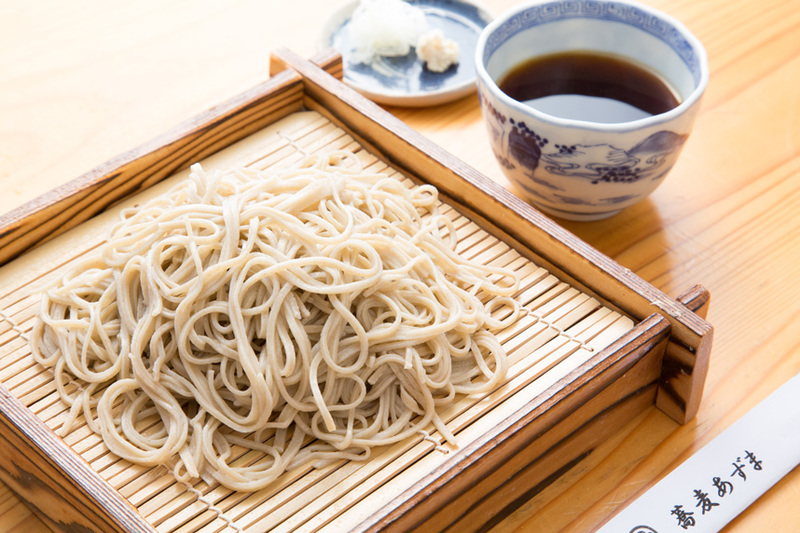 We grind gen-soba which we laid in stock of from Horokanai, Hokkaido directly to powder. 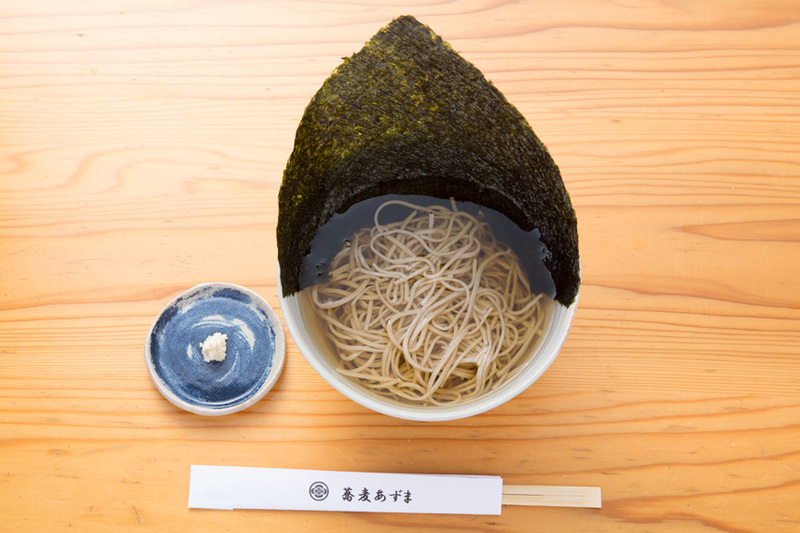 It is said that even a soba craftsman makes sarashina soba of 100% is very difficult. 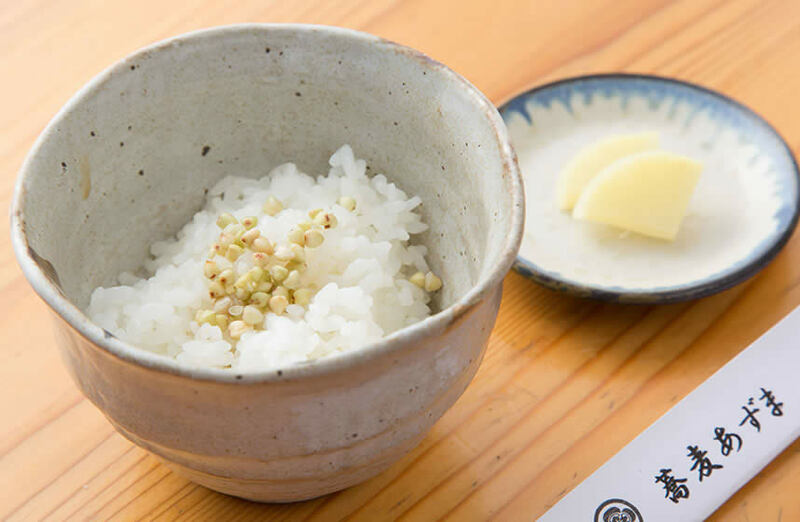 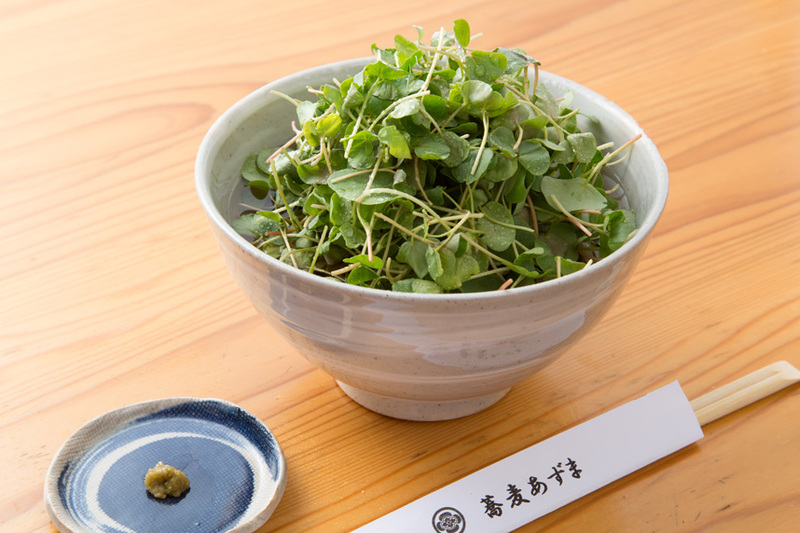 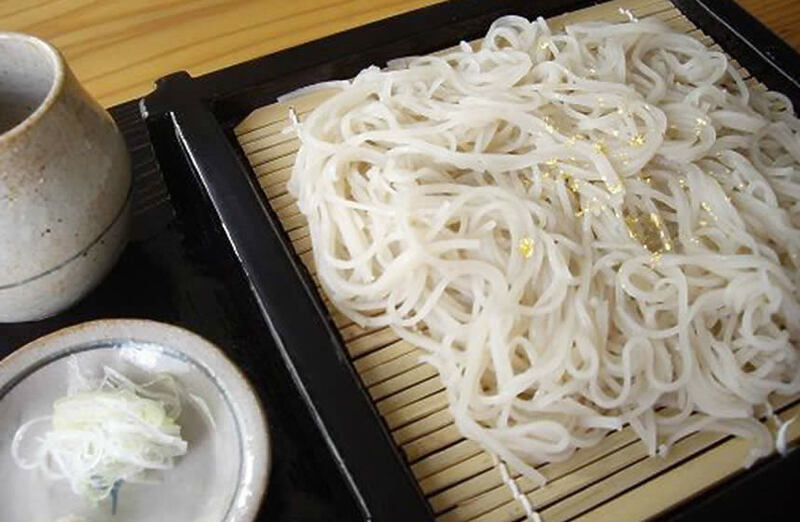 It is said to be a commonplace the general sarashina soba adds filler powder such as the wheat flour to buckwheat flour 20% - 50%, and to make. 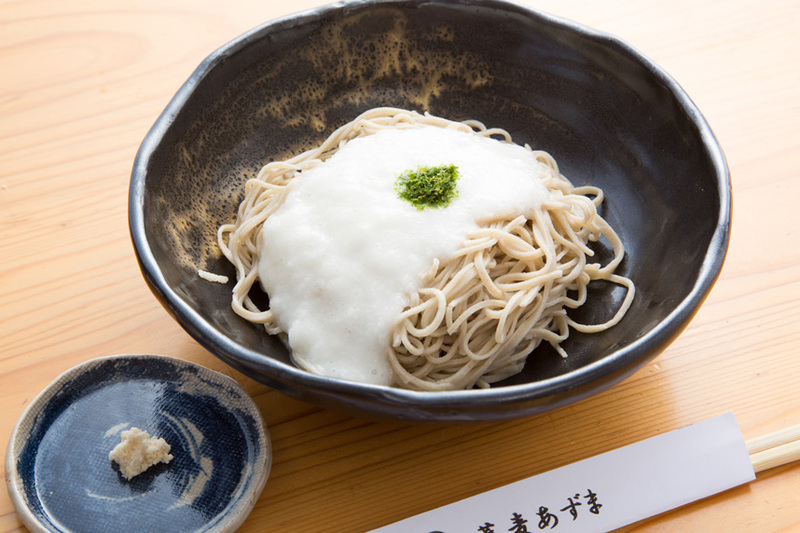 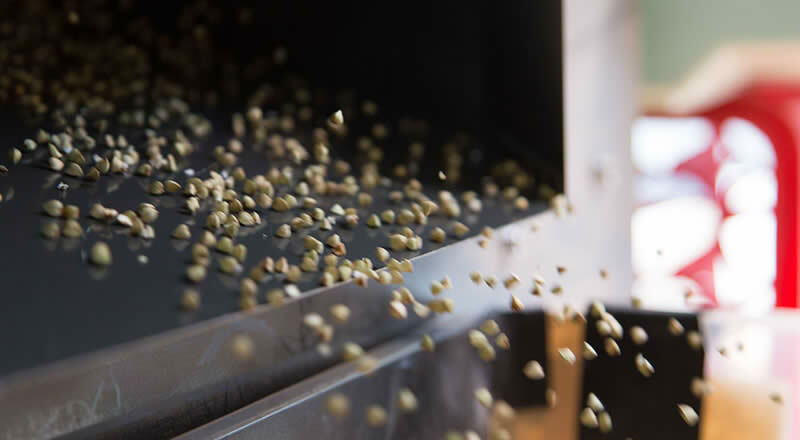 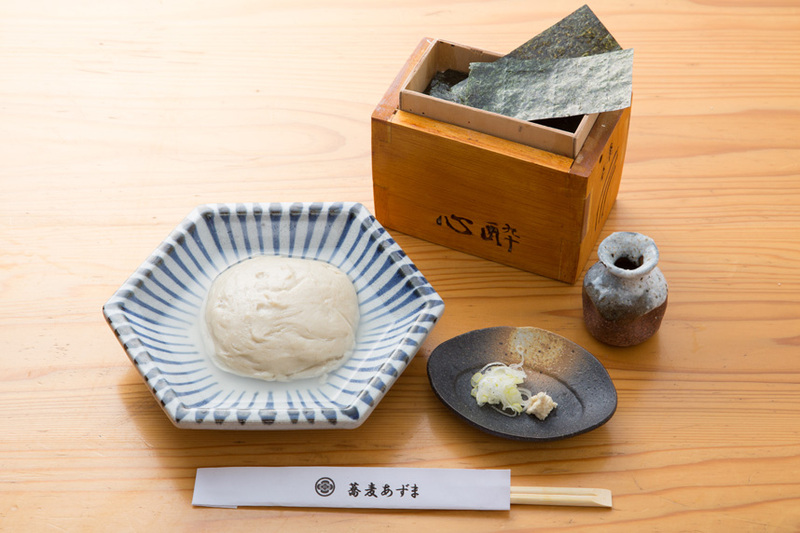 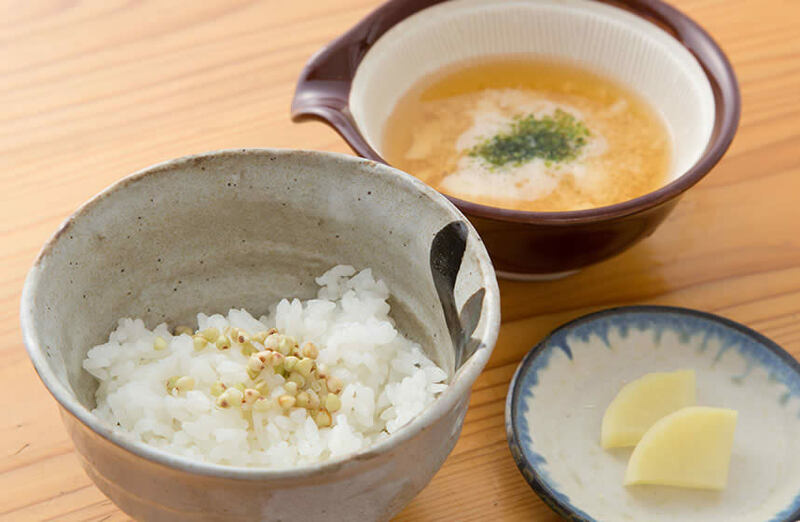 We provide "Sarashina-soba of 100% buckweat" which we make with only the pure first powder without using a filler after fluid volume studies at the time of the flour milling of the soba. 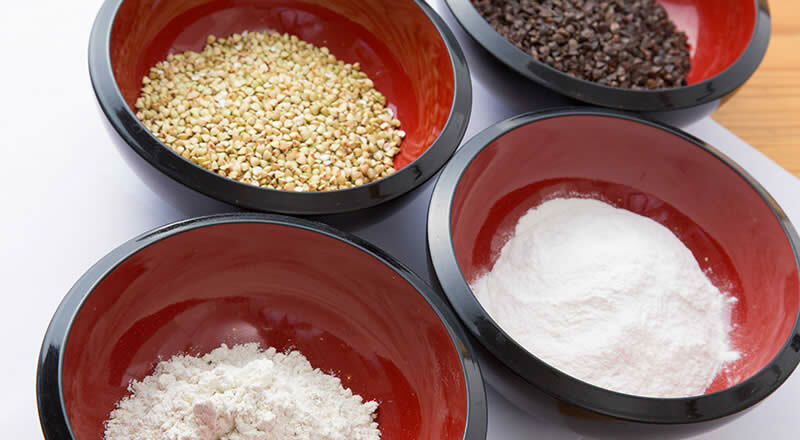 Because I cannot grind most to powder at a time, it is the offer only for ten meals a day. 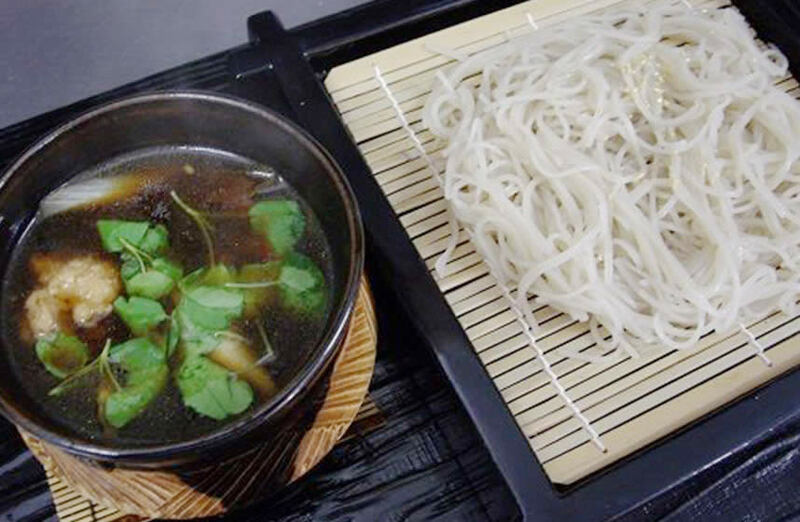 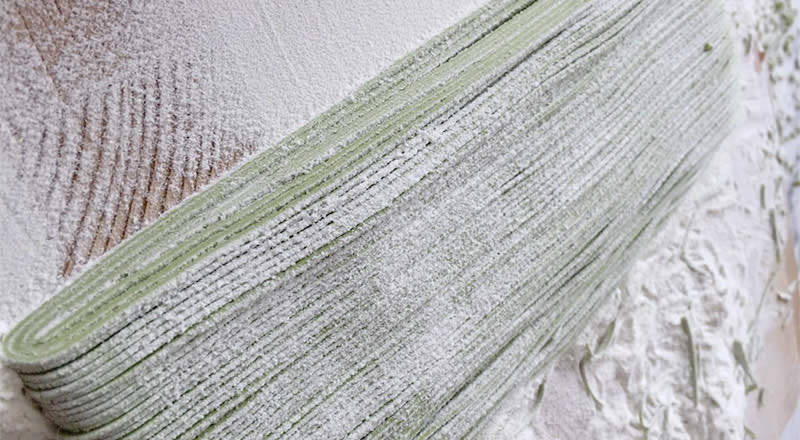 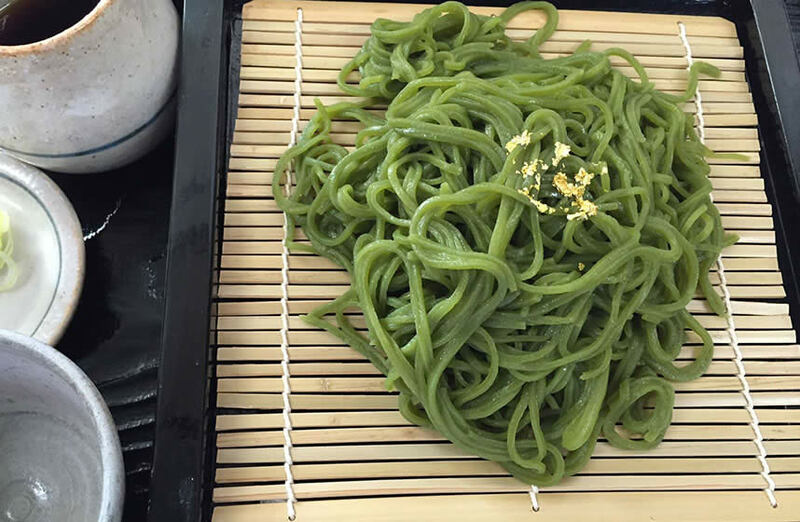 *Maccha-sarashina-soba is buckwheat noodles with powdered green tea. 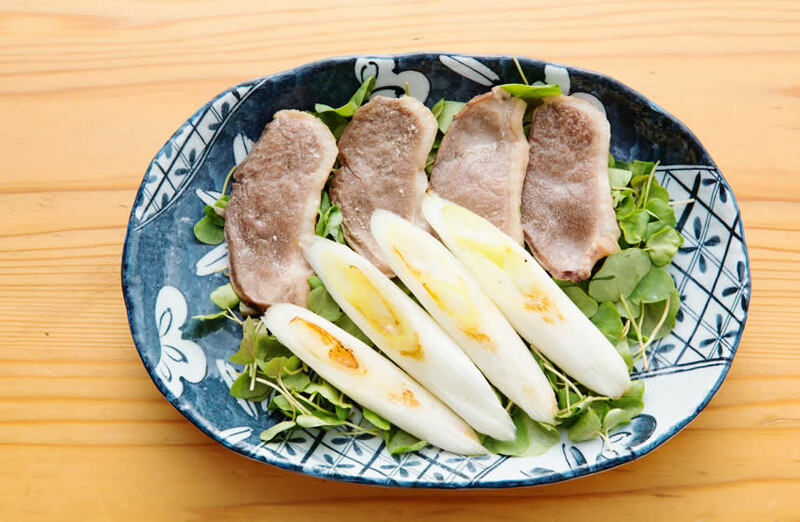 We have a menu of the limitation in the summer. 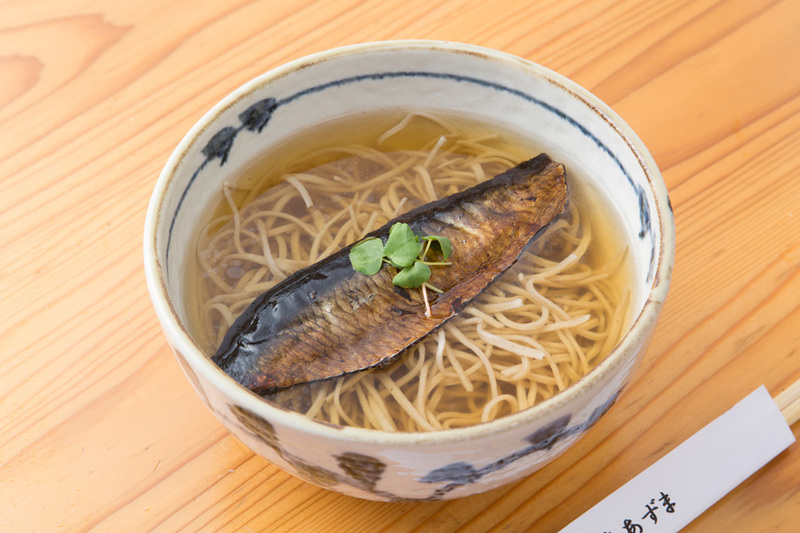 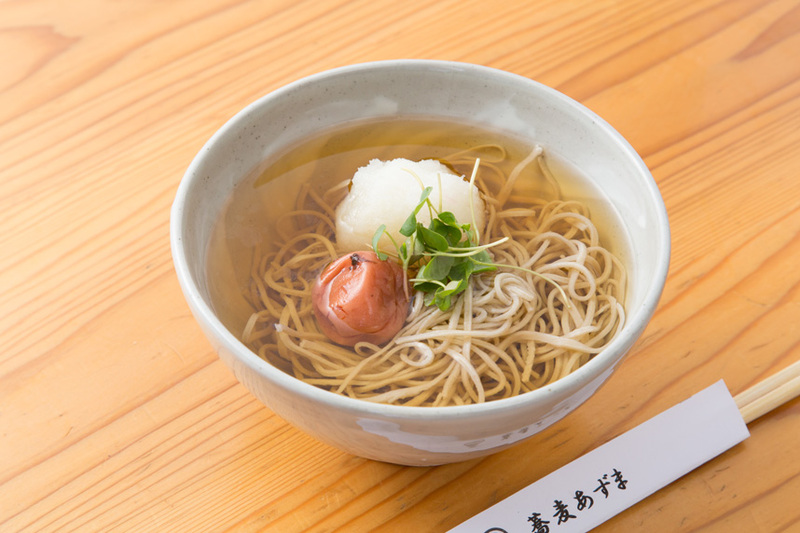 Please enjoy cold Juwari-soba in a hot summer season. 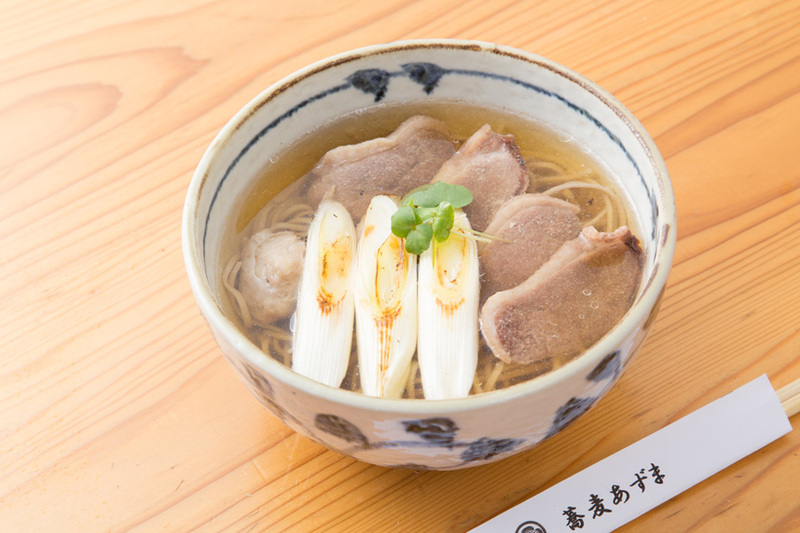 We have a menu of the limitation in the winter. 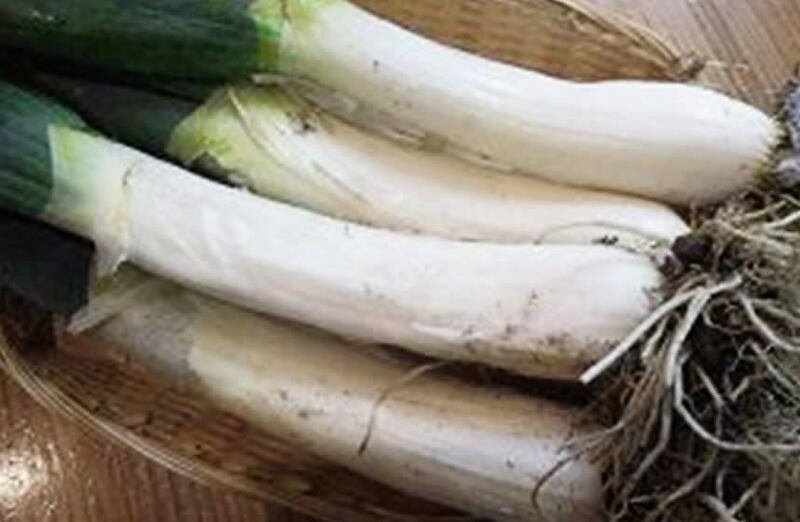 Please enjoy shimonita leek which is called the highest quality leek, in winter season. 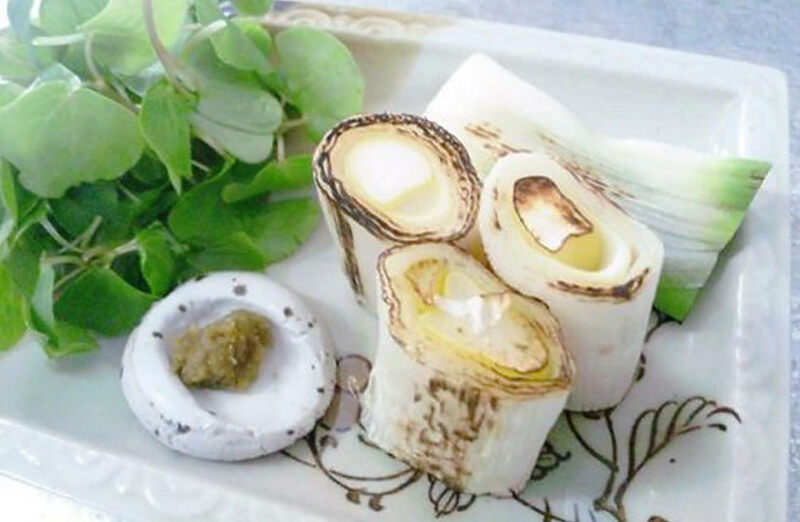 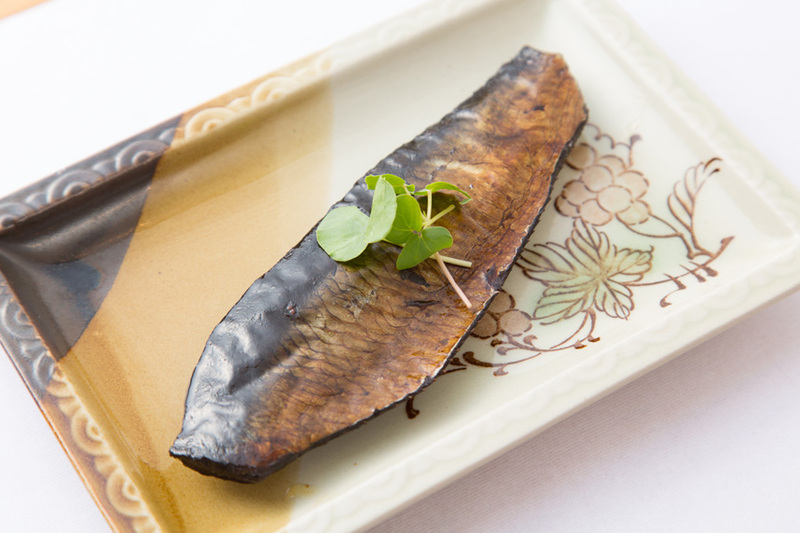 I lay in stock of shimonita leek from Shimonita period in Gunma Prefecture from the partner farmhouse every year. 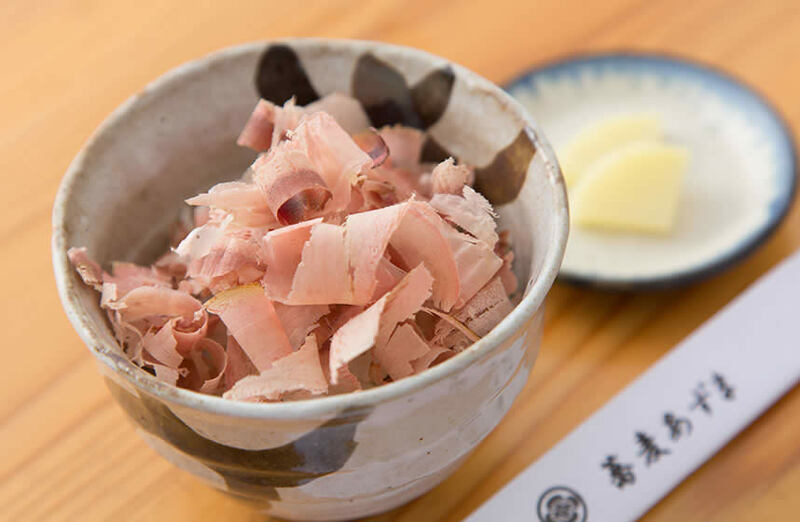 Each dish uses whole shimonita leek for one customer entirely. 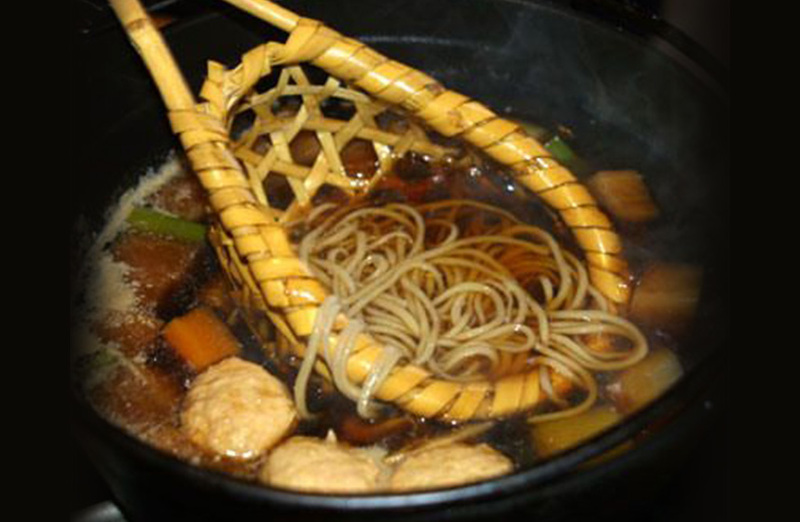 *Touji-nabe is a dish which is put in the colander with the pattern of worms basket, it warms in the soup like deer, and it eats in the bowl and it says. 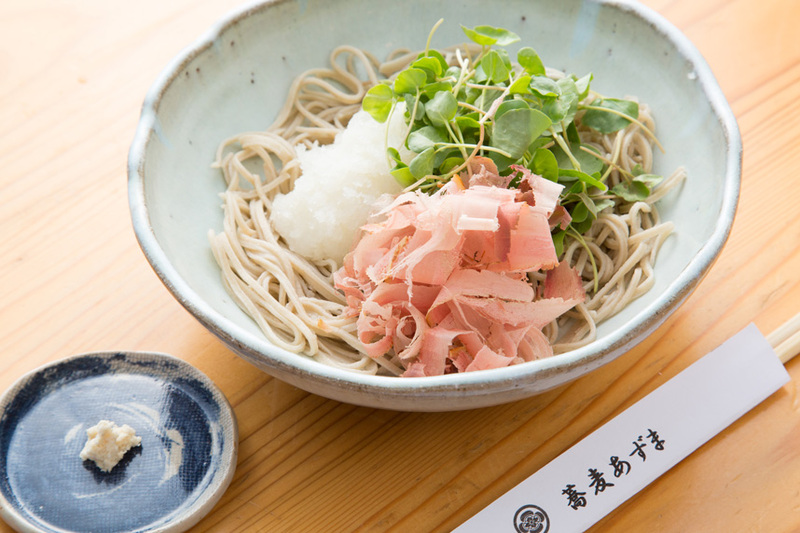 Because it seems to throw the buckwheat noodles, it is called throwing soup soba. 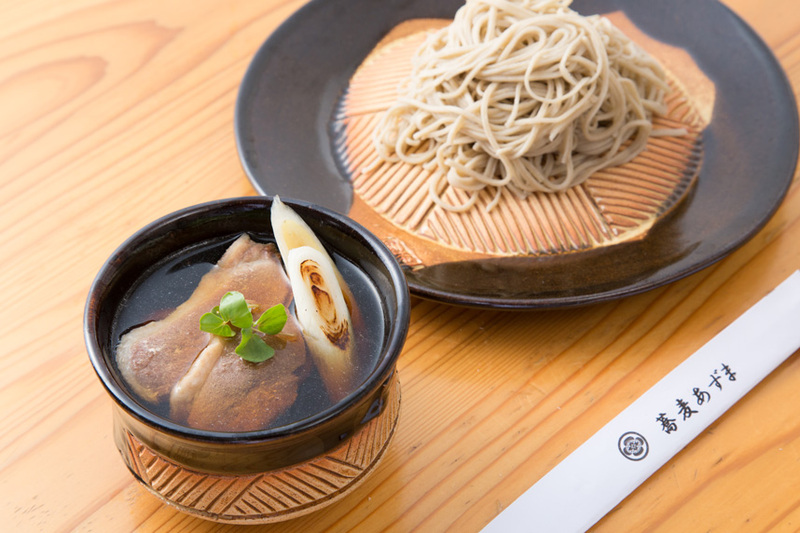 We offer a pot using fine duck from Kyoto only during the winter months. 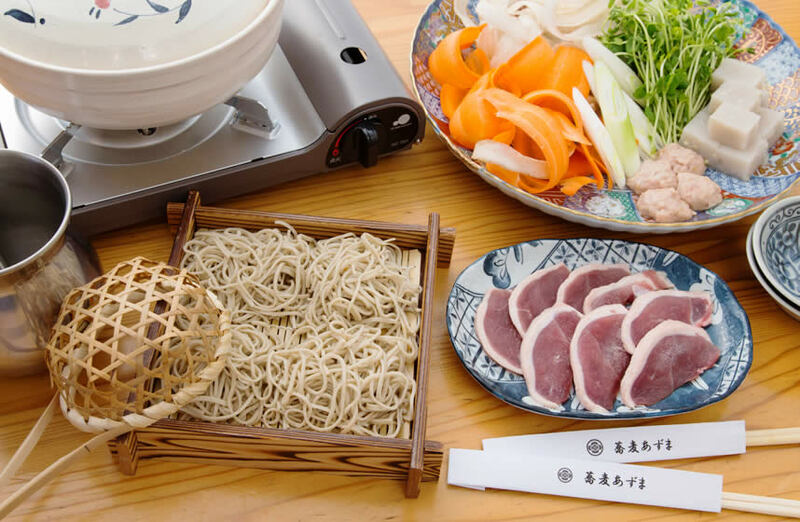 Please enjoy fine duck with fresh vegetables and Juwari-soba noodles. 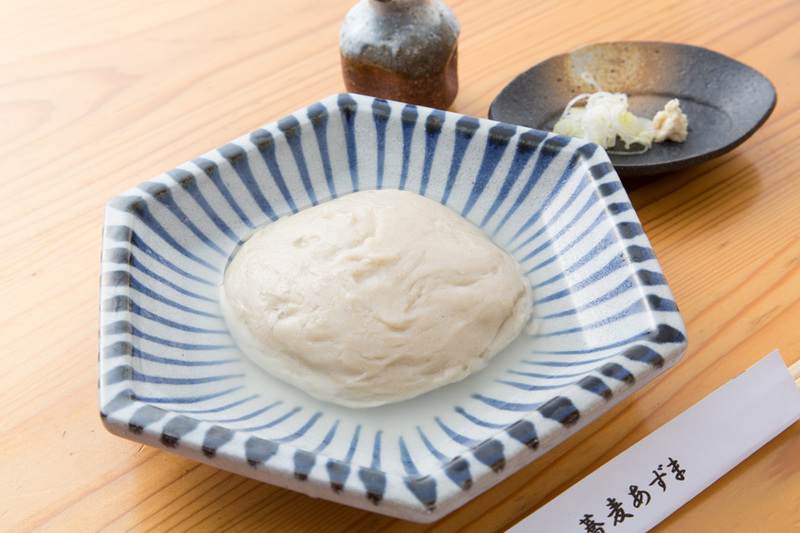 *Please make a reservation by telephone the day before. 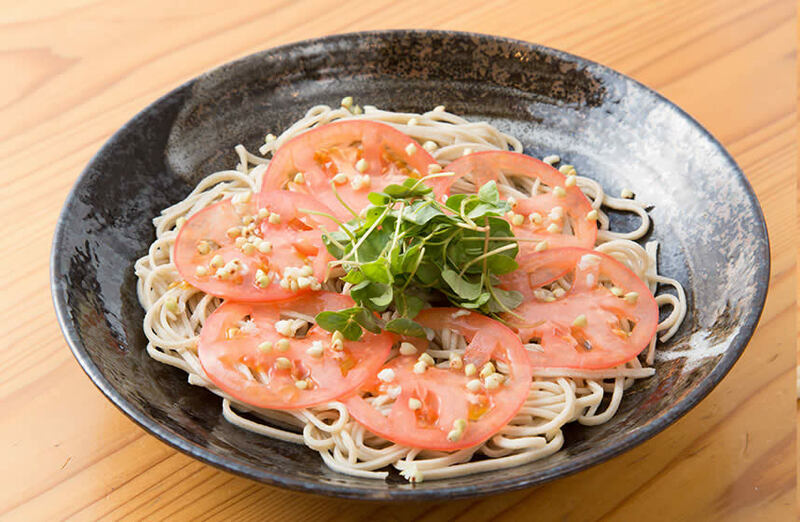 *You can order from two or more people. 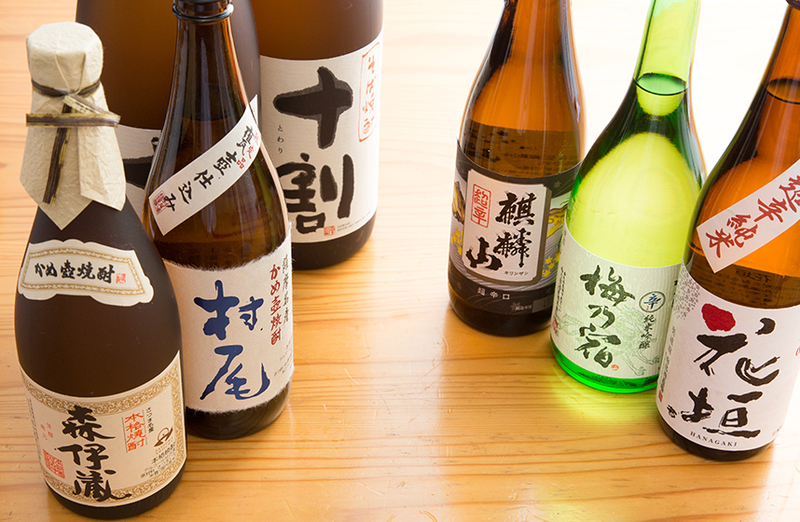 We have a year-end New Year's Eve and a limited menu. 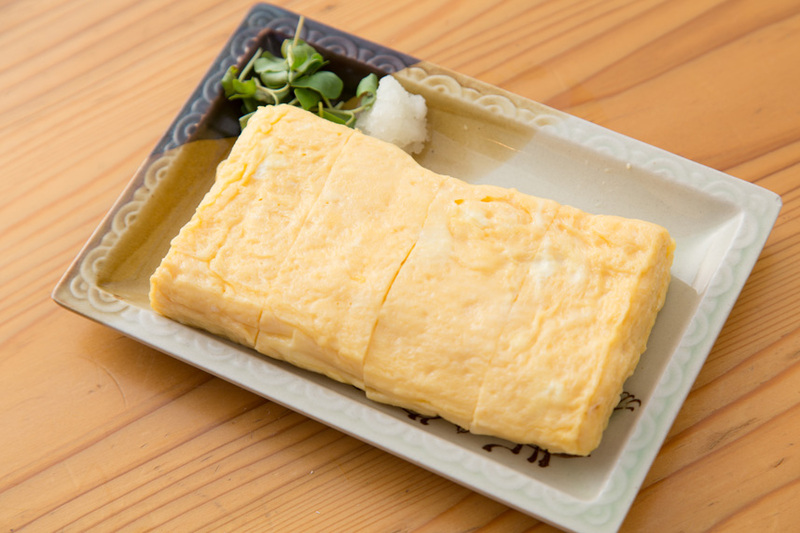 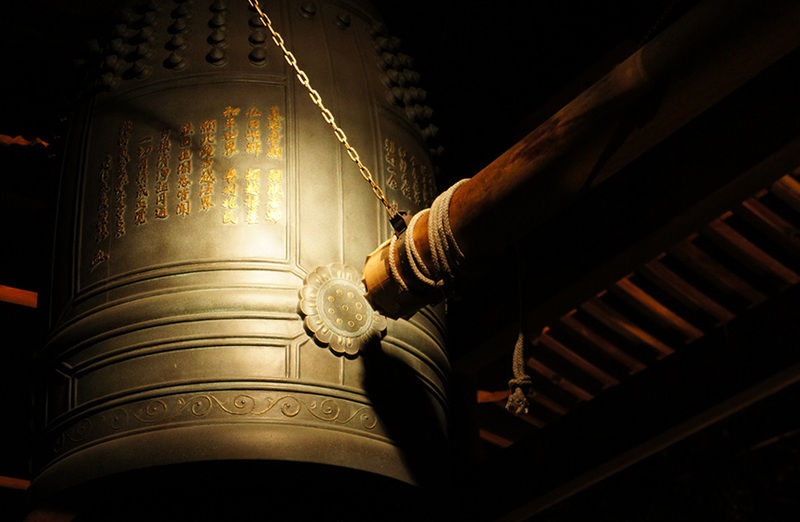 New Year's Eve is open from 11:00am to Midnight (last order 23:00). 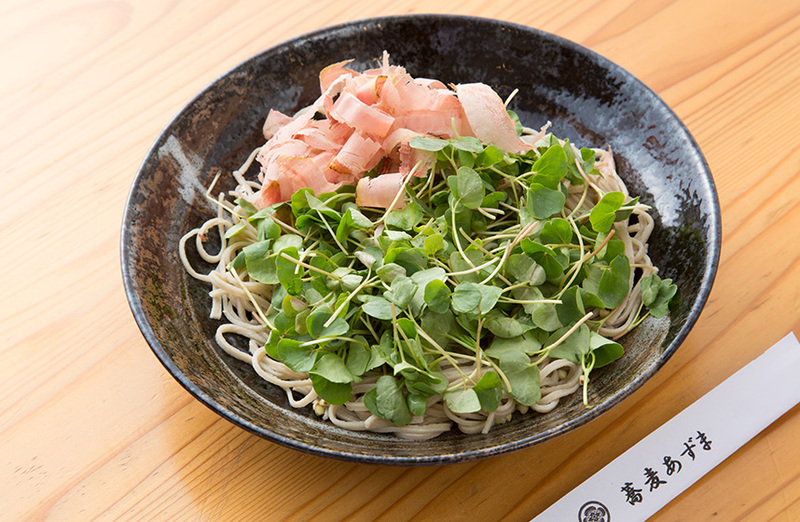 As soon as the soba is gone, we recommend that you make a reservation in advance.